West Ham want to make Genoa centre-forward Christian Kouame their “big signing” in the summer, according to Calcio Mercato. The Italian news outlet claims that Napoli are in talks to sign the 21-year-old in the next transfer window, with Genoa wanting £21.6million for the Ivorian hitman. It is understood that the Hammers are “convinced” by Kouame’s abilities, while they are also interested in Roma’s Edin Dzeko. Kouame is a young and exciting striker, but his goalscoring record for Genoa this season is hardly convincing. The Ivory Coast Under-23 international has scored just four goals in 32 appearances across all competitions for the Serie A club this term. He has been more reliable as a creator though by supplying seven assists. 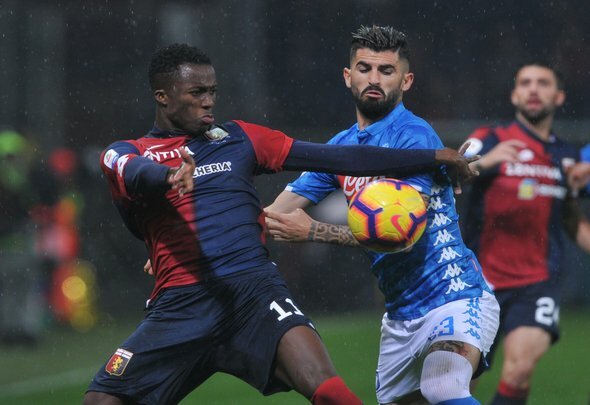 Kouame has started most of Genoa’s league fixtures and has shown at times that he is good enough to play out on the left-wing, but that goalscoring record is concerning, especially when the Irons need to upgrade their attack in the summer. Marko Arnautovic, Andy Carroll and Lucas Perez are all linked with potentially leaving the London Stadium and they need replacing with someone who can hit the ground running. Although Kouame may be a top player in the future, there have to be some doubts about him, especially for over £20million.